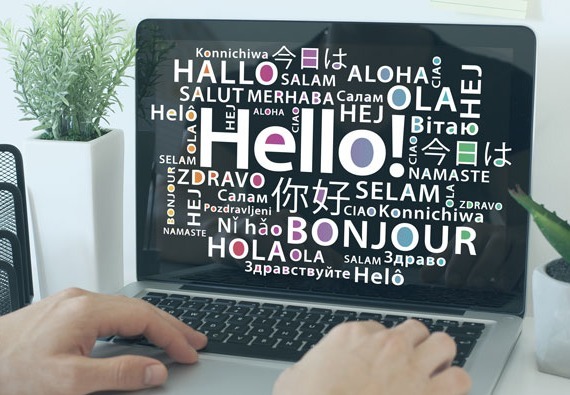 Make sure your website serves your multilingual leads and clients. Rapport International provides professional website translation services so that your customers can understand what you offer and can make purchasing decisions while visiting your site. Your site will be handled by an experienced translator who specializes in professional website translation services or website localization services. And, we offer free project consulting to help you figure out the best way to handle your multilingual websites. Number of internet users who speak a language other than English. European internet users more likely to buy a product when info is available in their own language. Number of languages spoken around the world today. Why not use Google Translate? Google Translate is free, but since it is automated it does not capture the over 3,000 words a year that are added to a language nor does it understand local slang. Words often have multiple meanings depending on context, and machine translation misses the context and therefore could be inaccurate and lack quality. And, quality translation is a necessity for a buying consumer. What is the Human Difference? A Fully bilingual, experienced human translator will keep up with new words and slang, along with the knowledge of local language usage, buying habits and customs. Conveying conversational voice and tone can not be replicated with machine translations. So, the "Human Difference" of using a professional is that you get a multilingual website with your brand and your message intact. Do I need Website Localization? Website localization services take it one step farther by making sure geographic references, currency, local jokes or famous people are represented in the material. What would be relevant in Spain is very different than in Argentina. Localization makes sure that the consumers really relate to the reference points. Our automated notification service simplifies the process of translating ever-changing web content for our clients in a streamlined and timely process. When you change or add web content you can be confident that Rapport International is on the job. You will be able to use your copy across multiple platforms – websites, white papers, SEO, blogs, social media, etc. – because when we translate your copy, we keep a “translation memory”. If you think this simplified process could help your company, contact us to discuss your translation needs. Our proven process of people-focused translations helps you find the best solution for your multilingual communications strategies. Walk through the steps of your website translation project. Curious about the costs of translations for websites? Need to know which factors play a role in timing? Learn more about costs and expectations with website translations pricing. If you're ready to take your website to the next level, request your free custom quote today.